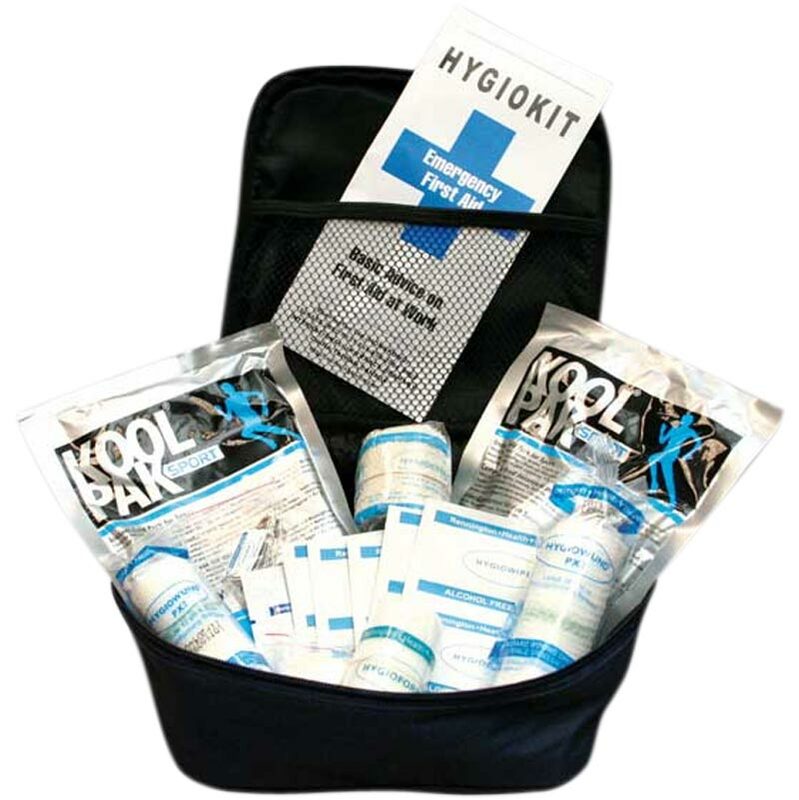 The Koolpak ® Handy Sports First Aid Kit is perfect for everyday sporting events or at home in case of minor incidents where a little more than a plaster is required. Includes all contents necessary for dealing with minor sporting incidents. Supplied in a nylon case with zip closure and carry handle. Bag size - 28 x 24 x 10cm. 1 x Conforming bandage 7.5cm x 4m . 2 x Sport Instant ice packs. 1 x Small grab bag. A very handy first aid kit. I'm sure this will be worth its weight in gold during the coming rugby season.